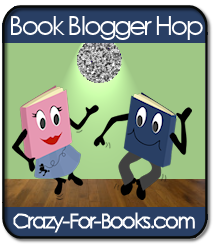 Book Blogger Hop | Banned Books Week! This week Book Blogger Hop is featured at Soon Remembered Tales and this weeks question is a good one! to be banned from libraries or schools? Have you read any banned books? To be honest, I was completely ignorant of the fact that books were still being banned until I heard about Banned Books Week, and I hate it. I thought banned books were a thing of the past, confined to history, and I am disgusted that books are being banned in this modern age! As humans we should have the free choice to be able to do want we want, and that includes the reading of books. Books has opened up thousands of new worlds for me – and to think that someone, somewhere is denied the opportunity to read want, when they want, is horrible. I have read a few banned books, without meaning too (The Hunger Games!) and I will definitley be reading more! Have you guys read any banned books? Hope everyone has had a lovely week. Hears to the weekend! Previous Post The Girl Who Fell Beneath Fairyland and Led The Revels There by Catherynne M. Valente Review. I too wish this was a thing of the past, but sadly not. It seems pretty clear that I’m not alone in feeling this way! I have read almost every one of those in the list in high school as required reading. 🙂 They were not banned at that time. Stop by to see the list I read. 🙂 My link is below. I’ve read quite a few. I used to be a big fan of Judy Blume and all of her YA books are on the banned list. It may still be a current problem, but at least it’s getting easier and easier to get books–banned or not!